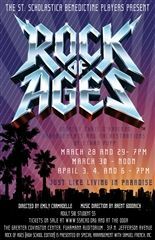 Make plans to see "Rock of Ages"
The Benedictine Players will be presenting "Rock of Ages" on March 28 and 29, 30 and April 3, 4, and 6, 2019 at the Fuhrmann Auditorium at the Greater Covington Center. Click here to purchase tickets! The Soccer Doves put an exclamation point on their season Friday night in Lafayette, LA. 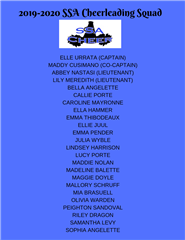 It was at the ULL Soccer Field that the Doves defeated Northshore High School 2-1 to repeat as the Allstate Sugar Bowl LHSAA Division I girls soccer state champion. 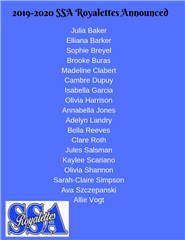 Congratulations to Isabella Pflug who was named the game's Most Outstanding Player and to the rest of the soccer doves who all had a terrific season. Many thanks to coaches Matt Jacques and Kyle Smith, and Athletic Trainer Jason Aucoin who supported the girls throughout this rainy soccer season with many of our "home" games played on someone else's field. 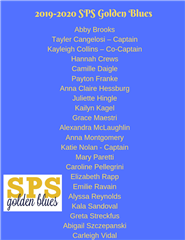 Way to go Soccer Doves! 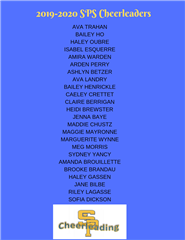 We are proud of your hard work!